Fraud by Red Cross workers and others wasted at least $6 million meant to fight the deadly Ebola outbreak in West Africa, the organization confirmed on Saturday. The revelations follow an internal investigation of how the organization handled more than $124 million during the 2014-2016 epidemic that killed more than 11,000 people in Sierra Leone, Liberia and Guinea. The disease erupted in Guinea and quickly spread to Sierra Leone and Liberia. The international aid response was initially slow, and money — once it arrived — was often disbursed quickly in the rush to purchase supplies and get aid workers into the field. As much as 2.13 million Swiss francs ($2.13 million) disappeared as the result of "likely collusion" between Red Cross staff and employees at a Sierra Leonean bank, the investigation found. It is believed that the money was lost when they improperly fixed the exchange rate at the height of the epidemic. The International Federation of the Red Cross and Red Crescent Societies said it was "outraged" by what it had uncovered, and was strengthening its efforts to fight corruption, including introducing cash spending limits in "high-risk settings." It also plans to send trained auditors along with emergency operations teams. Other measures will include additional staff training and "the establishment of a dedicated and independent internal investigation function." "These cases must not in any way diminish the tremendous courage and dedication of thousands of volunteers and staff during the Ebola response. 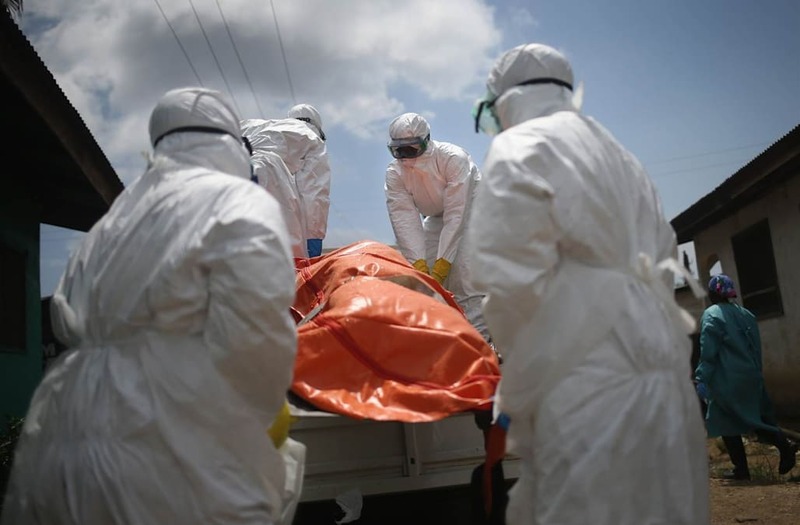 They played a critical and widely recognized role in containing and ending the outbreak, and preventing further spread of the Ebola virus internationally," said Dr. Jemilah Mahmood, the IFRC under secretary general for partnerships. "We are pursuing every possible avenue to reclaim all funds that have been misappropriated, diverted, or otherwise illegally taken. This includes working with authorities in affected countries and elsewhere as appropriate." As temperatures in Syria plummet, many families are struggling to find shelter from the harsh winter weather. Violence has forced people to flee their homes and take refuge in cold, damp accommodation without heating or adequate clothing. See how we’re working with our colleagues in the Syrian Arab Red Crescent to provide support on redcross.org. Earlier this week, Terry Keagle posted this photo on our Facebook wall. It's her grandson at one of our warming shelters in Tennessee, during a recent ice storm. Thanks to your donations, we're able to help families like his during a time of need. You can help those affected by disasters by clicking the link in our bio. The findings of the internal investigation were first posted online Oct. 20 but were not widely publicized until Friday. The IFRC confirmed the findings Saturday and said it was working with Sierra Leone's Anti-Corruption Commission to "investigate and legally pursue any persons involved." IFRC also revealed evidence of fraud in the two other hardest-hit countries during the Ebola crisis. In Liberia, investigators found "evidence of fraud related to inflated prices of relief items, payroll and payment of volunteer incentives." IFRC estimated the loss at 2.7 million Swiss francs ($2.7 million). And in Guinea, an estimated 1.17 million Swiss francs ($1.17 million) disappeared because of fraudulent billing practices by a customs clearance service provider. Two other investigations there are pending, IFRC said. In all cases, IFRC said it's prepared to waive all legal immunities and privileges to ensure any staff involved are held to account.